OFM 1007W, Best cafeteria bench seat on the planet. 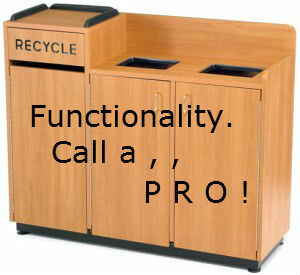 OFM 1007W Tables can be a stylish addition to your lunchroom, cafeteria or faculty lounge. Employees, Customers or Students will appreciate the molded plywood benches with built-in lumbar support. 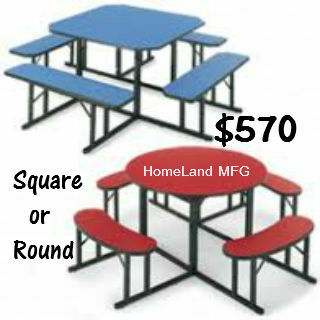 Our Cafeteria Tables have a a durable stainless steel or laminate finish. 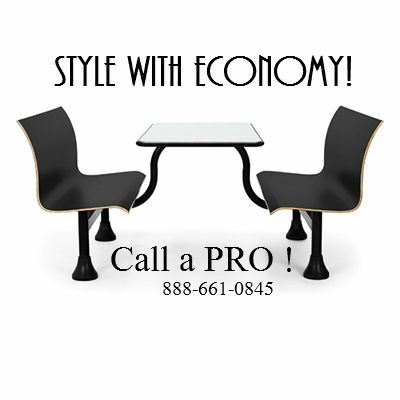 This table top resists scratching and ensures the benches will withstand years of everyday use. 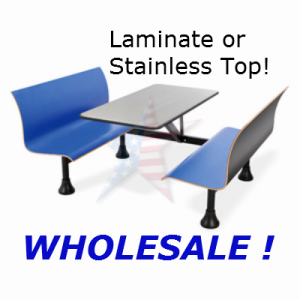 The heavy-duty steel frame offers center support for an attractive stainless steel table top. 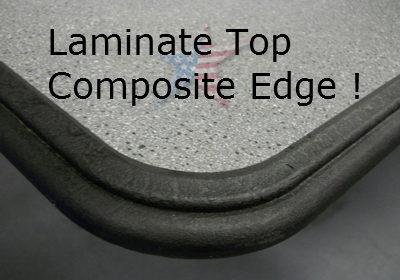 Foot glides adjust for maximum versatility, and leg plates can be permanently installed. This model is designed for use along a wall, it can only be entered from the side. 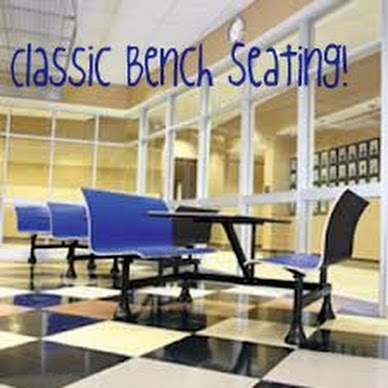 Facility Break Room OFM 1007 with Retro Benches are backed by a 10-year manufacturer's warranty.